Long term readers might notice something new about KidsBlogClub lately – namely, advertisements on various pages. We haven’t had ads on this site before, but obviously it costs time and money to run, so we have partnered with Google Adsense in order to support the site. Google Adsense is an advertising program run by Google – you probably see it on a lot of websites you visit. Every time you click on one of those ads, the site owner will earn a small payment. So if you enjoy KBC and want to support the site, go ahead and click on plenty of our ads (like the one below). Site publishers don’t choose the ads that appear, but we do get to exclude certain categories. So what we’ve done is to exclude anything we think will be unsuitable for the kids that read this site. 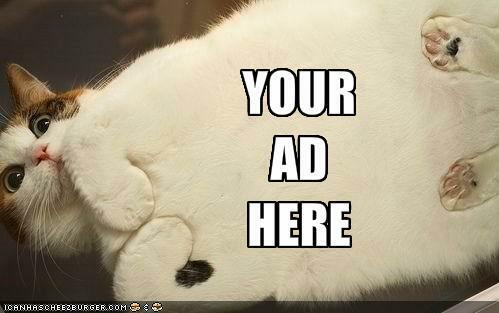 But if you see an ad that you think doesn’t belong here, let us know and we will deal with it. This is a learning experience for us but we will do our best to get it right. We figured this was better than selling our books to pay for hosting! We’re going to keep these ads running for around 3 months, then assess whether they’re worth keeping. If they just basically look super-ugly and don’t earn their keep then we will ditch them. But hopefully they will prove to be a nice way to support continuous new content on the site without getting in the way too much. You may also start to see a small number of Sponsored Posts appearing on the site. This means that the sponsor has paid for that post to appear and have either asked us to write about a specific topic, or supplied the content as a guest post. So these posts are different from the usual independent posts written by the KBC editor and all our various kid guest posters. Sponsored Posts will only be accepted occasionally, from reputable companies, and will generally include a link to the sponsor’s site so you can check them out. And if you know of a company who might want to run a sponsored post with us, then by all means send them along. me too but I also don’t own a company either, plus I don’t have anything to advertize! a great pic choice. Well done!!!!!!!!!!!!! that cat is funny and soooooo cute.